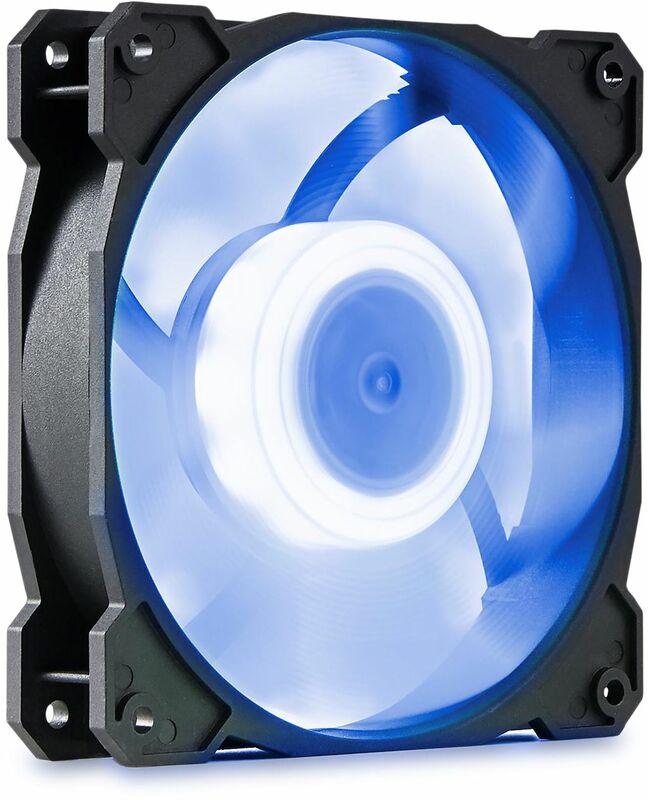 Gelid's Radiant RGB 120mm fan offers exceptional performance and a bold design making the Radiant fans perfect for virtually all scenario! Brewed with top technologies and passion, the Radiant RGB LED Fan fosters a stunningly vivid RGB LED lighting experience. Magnificent colours, extreme performance and bold design make the Radiant a perfect mate for water-cooling radiators, advanced heatsinks and custom PC rigs. Just try it, and ignite full colours of life inside your PC! 9 Full Colour RGB LEDs - circularly mounted high-bright LEDs for a stunningly vivid RGB Lighting experience. Infinite Colour Spectrum - variable colour modes via motherboard controls or the optional GELID RGB LED Multi-Fan Controller. Extreme Static Pressure - powerful impeller with the unprecedented static pressure and performance profile. High Precision Shark-Tooth Blade - 3D optimised blade for even higher airflow and lesser noise. Noiseless Motor Drive IC - newly designed and enhanced motor driver to eliminate clicking noise. Ultra-Durable Double Ball Bearing - carefully selected top-quality ball bearings for ultra-durable operation. Wide Range RPM - extended fan speed in the range 500 – 2000 RPM. Broad Compatibility - all modern motherboards with RGB Lighting controls and 5V Addressable headers are supported. *Caution: the RGB cable can support connection to Addressable RGB (5V) header only. Please refer to your mainboard installation manual for details. 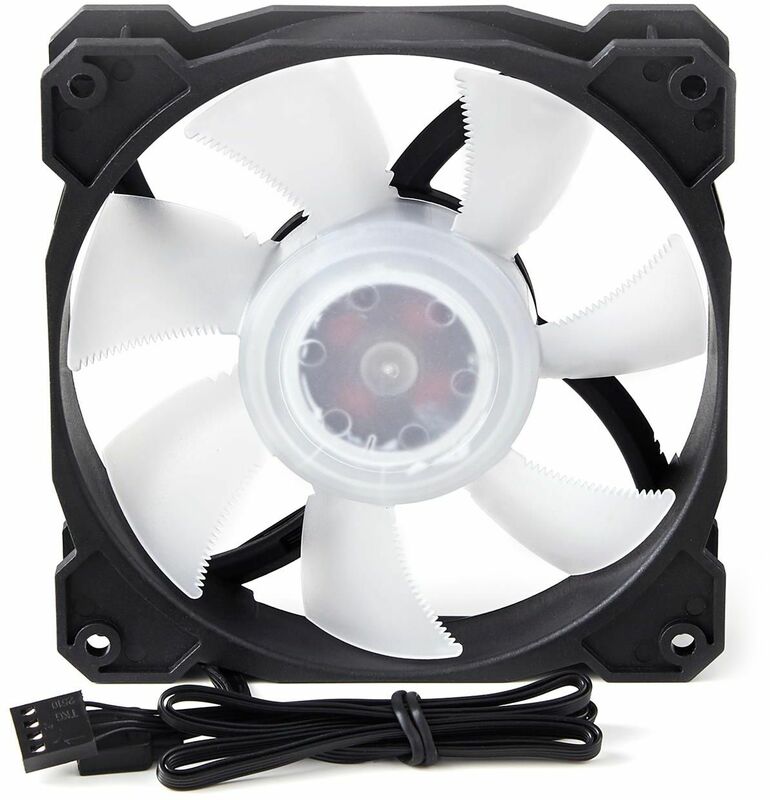 Plugging into the standard RGB Header (12V) may damage the fan!